The snakes in our Available Ball Pythons page are typically of interest to people who have a specific morph in mind, but we also have baby Wild Type snakes for anyone looking for a basic pet reptile. Gemini Pythons is based in North Vancouver, so if you are from Metro Vancouver or the Fraser Valley, we are an excellent alternative to buying a snake from a large chain pet store. We are more knowledgeable, inexpensive, and are happy to help with questions both before and after purchase. We apologize, our 2018 Normal ball pythons have all been sold! Please email us if you would like to be informed when we have more available, or if you have any questions about adding one of these gentle snakes to your family. We anticipate having new clutches in mid summer 2019. Standard ball pythons are referred to as Normals or Wild Type, due to them being the same colour and pattern as those found in the wild in West Africa. We personally find the term ‘normal’ a bit of a misnomer, because although common, the exotic nature of their beautiful patterns and the subtle metallic blue sheen to their scales is anything but normal! Ball pythons are an excellent pet snake for first time reptile owners as they are easy to handle, have a gentle disposition, and are low maintenance. They are also wonderful pets for an older child or teenager, and will open up a whole new world of learning and experience for them as they interact with an animal from the other side of the world. Wikipedia’s ball python article is a great introduction to the breed, and we are happy to answer your questions as well! We do not sell any snakes until they are eating regularly on frozen/thawed mice, so you never have to worry about purchasing a pet ball python who only eats live mice. This is cleaner and easier for you, and safer for your snake who is at risk of being bitten or scratched when fed live. We can sell you frozen mice or rats, and can also help you find a retailer closer to your home who sells them as well. Why Buy Your Pet Snake From a Us Rather Than a Large Chain Pet Store? Complete knowledge of your snake’s care. Our snakes have been cared by us for since the day they hatched. We provide you with copies of their records so you know their full history. There are only two of us here at Gemini Pythons; Your ball python hasn’t been looked after by a fleet of rotating pet store staff, so we know if your snake has any preferences or quirks and can communicate them to you. This can be a huge help when transitioning your snake to their new home. Knowledgeable help both before and after purchase. We want our snakes to live healthy, stress-free lives, and we recognize that the biggest part of that is making sure their owners are confident in their understanding of their care! We are here to help you both before and after purchase, and because we are a small operation, you will always be talking with the two of us rather than whoever happens to be on staff at the pet store that day. Less money and more value. We sell our Normal/Wild Type snakes for $75. This is usually cheaper than large chain pet stores in Metro Vancouver and the Fraser Valley, but we are confident that our customer care and knowledge is beyond what you would receive from one. We only want for every snake hatched with us to have a good home and the stress-free life they deserve. Your snake is the product of incredibly healthy parents. Our Normal babies hatch from the same clutches as our more extravagant morphs, so your Wild Type snake comes from the same strong genetic stock as the morphs we sell to fellow breeders. You have the reassurance that your snake is the product of two top tier parents from stable, healthy bloodlines. Ideal, appropriate husbandry and less stress. Large pet shops have bright lights and lots of traffic- two things ball pythons HATE! They are timid snakes who are easily scared, and being stressed can cause them to go off food or become difficult to handle. It can take weeks or months for them to settle down. 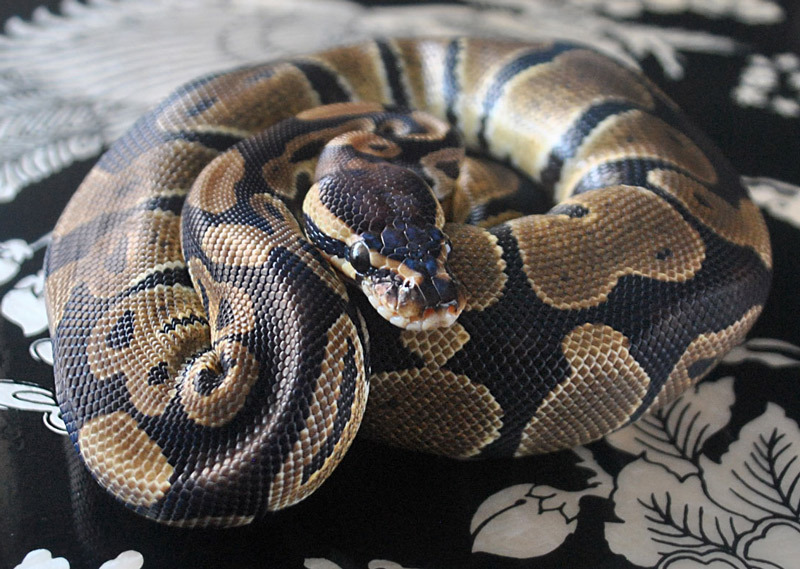 Our snakes are kept in the conditions ideal to their breed, so your new pet ball python isn’t arriving to your home from a stressful situation. We aren’t saying the things above loosely, but from many experiences helping new snake owners who have gone to large chain stores and didn’t get the help or knowledge they needed. We have always welcomed questions from anyone-whether they have bought from us or not-and an incredible number of new snake owners have gotten in touch because the large pet store they bought their ball python from did not educate them how to properly care for them. We’ve heard so many stories… Snakes being sold who have never had their first meal (leaving their new owner with the VERY advanced task of getting a baby ball python to learn to accept food! ), snakes being sold with mites, and people being unsure of even simple basics like how old their snake is and what they should be feeding them. We’ve also been in chain pet stores and seen snakes visibly stressed, struggling frantically to escape their bright, exposed cage, and severely malnourished snakes, likely because they are too stressed to eat. As animal lovers, we do what we can to encourage people to buy from responsible local breeders and do their due diligence before buying any live animal. We sell Normal ball pythons in Metro Vancouver and the Fraser Valley* but we encourage anyone anywhere who is considering getting a pet reptile to look into local breeders or small locally owned pet shops before shopping at a large chain pet store. *We do ship across Canada, but the cost of shipping is more than double the cost of your new pet, so we recommend buying from a local breeder. Simply google your nearest town or urban centre with the term ‘ball python breeder’ and you are sure to find a few!